The Republic of Singapore Navy (RSN) is the naval component of the Singapore Armed Forces (SAF), responsible for the defence of Singapore against sea-borne threats and protection of its sea lines of communications. Operating within the crowded littoral waters of the Singapore Strait, the Singapore Navy is regarded as one of the best in the region and works closely with the Malaysian Navy and Indonesian Navy to combat piracy surrounding their coasts. All commissioned ships of the RSN have the prefix RSS standing for (Republic of Singapore Ship). The Republic of Singapore Navy traces its origins to the Royal Navy in the 1930s with only two patrol craft. The Straits Settlements Royal Navy Volunteer Reserve was established on 20 April 1934 and in 1941 became the Singaporean division of the Malayan Volunteer Reserve during World War II. 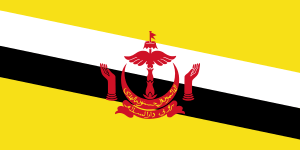 In 1948, the Malayan Force was raised by the Singapore government and was later granted the title of the Royal Malayan Navy in 1952 in recognition of its services in action during the Malayan Emergency. 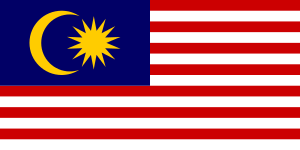 On 16 September 1963, Singapore was admitted as a state of Malaysia under the terms of confederation and the Royal Malayan Navy was renamed the Royal Malaysian Navy. The Singapore division of the Malayan Royal Navy Volunteer Reserve was formally transferred from the command of the Royal Navy to the Malaysian Navy on 22 September 1963, becoming the Singapore Volunteer Force (SVF). 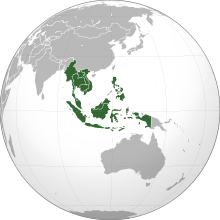 On 9 August 1965, Singapore seceded from Malaysia to form an independent and sovereign nation within the Commonwealth of Nations. The fledgling navy had only two wooden ships then, namely RSS ''Panglima'' (90' Motorized Fishing Vessel built for the RN in 1944 and sent to Singapore in 1948) and RSS Singapura (a captured Japanese minelayer). Panglima was replaced with another wooden vessel in 1956 with the same name. 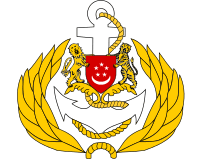 On 22 January 1966, the SVF was renamed the Singapore Naval Volunteer Force. On 5 May 1967, the ensign was hoisted for the first time. 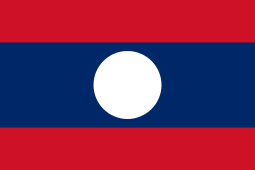 A few months later in September, the SNVF was renamed the People's Defence Force (Sea) under the Sea Defence Command (SDC). The SDC was again renamed the Maritime Command (MC) in 1968. Under its charge, it set out on an expansion program to be able to carry out its seaward defense more effectively. During this period, the Navy saw the addition of six first generation of Independence class patrol vessels in December 1970. The growing constraints and strategic need for a base located nearer to the Singapore Straits necessitated a new base, and the Brani Naval Base on Pulau Brani was formally opened in December 1970. The foresight was proven correct only a few weeks later, when terrorists from the Japanese Red Army attacked an oil complex on Pulau Bukom and later hijacked the Laju ferry, leading to the Laju incident. Four patrol vessels, RSS Sea Hawk, RSS Independence, RSS Sovereignty and RSS Daring together with the Marine Police, were able to surround the fleeing ferry and prevent it from escaping. Around this time the Navy was commanded by a certain Colonel James Aeria, the first head of the Navy. The RSN came into being on 1 April 1975, when the SAF established its component forces into three distinct services, and has kept the name ever since. Colonel Aeria stepped down from his post as Chief of Singapore Maritime Command. The fleet has expanded massively since 1975 and is now equivalent to the navy of a Nordic nation. It took part in humanitarian relief missions during the 2004 Asian Tsunami and assisted in both the search for MH Flight 370 in the Gulf of Thailand and QZ Flight 8501 in the Karimata Strait. The Singapore Navy has increased its capability to deal with increasingly complex environments both abroad and close to home. 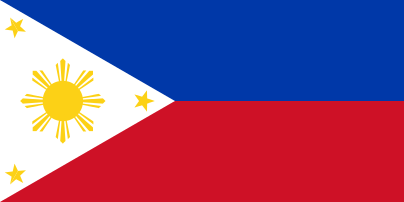 This includes combating the rise of piracy surrounding the waters of the adjacent Malacca Straits and formerly disputed island of Pedra Branca in the South China Sea, considered as vital sea lines of communications. In addition, it has engaged in anti piracy operations in the Gulf of Aden and Horn of Africa under international task forces. 2004–2008 Multi-National Force – Iraq. Ships participated in the Iraq War and returned home after two or three months deployment in the Persian Gulf without any ground troops involved. 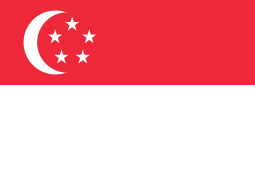 Singapore's withdrawal was acknowledged on 23 December 2008. The RSN is led by the Chief of Navy (CNV), and he reports directly to the Chief of Defence Force (CDF). The CNV is responsible for the RSN's overall operational capabilities and administration. His deputies are the Chief of Staff-Naval Staff, Commander Maritime Security Task Force, Fleet Commander and Master Chief Navy. The organisation chart below shows the peacetime administrative chain of command with five formations: the Fleet, Maritime Security Task Force, Naval Diving Unit, Naval Logistics Command, and the Maritime Training and Doctrine Command. In 1995, the RSN acquired a Challenger class (formerly known as Sjöormen class) submarine from the Swedish Navy and another three in 1997, making them Singapore's first underwater platforms. As the submarines were designed by the Swedish for operations in the Baltic Sea, various modifications were required to suit them to tropical waters. A comprehensive tropicalisation programme was carried out for all four submarines, which involved installing air conditioning, marine growth protection systems and corrosion-resistant piping. It is believed that the Challenger class were purchased to develop the required submarine operations expertise before selecting a modern class of submarines to replace them, since all the boats are over 40 years old. The four Challenger class and two Archer class submarines form the 171 Squadron of the RSN. Two RSN Challenger-class submarines, RSS Challenger and RSS Centurion, were retired from service in 2015. Singapore's Ministry of Defence (MINDEF) signed an agreement with Kockums for the supply of two Archer class (formerly known as Västergötland class) submarines to the RSN on 4 November 2005. More than 20 years old and previously in reserve with the Swedish Navy, the submarines were transferred to the RSN on completion of the modernisation and conversion for operation in tropical waters. RSS Archer was relaunched on 16 June 2009 and recommissioned on 2 December 2011. The Archer class submarines are equipped with an air independent propulsion system. This enables the submarines to have longer submerged endurance and lower noise signature, enhancing the stealth capability of the submarines. The advanced sonar system allows the submarines to detect contacts at a further distance, while the torpedo system has a better target acquisition capability, which allows the submarines to engage contacts at a further range. Singapore’s Ministry of Defence (MINDEF) signed a contract to procure two new Type 218SG attack submarines from ThyssenKrupp Marine Systems in November 2013, the new submarines, along with Singapore’s two refurbished Archer-class submarines, will replace four 1960s-vintage Challenger-class submarines procured by Singapore in the 1990s. German industry experts commenting about the deal said the project would cost about one billion Euros and is expected to take six years to complete. The first submarine will be delivered to the Singapore Navy in 2020. MV Swift Rescue, a submarine support and rescue ship was launched 29 November 2008. She carries the deep submergence rescue vehicle Deep Search and Rescue Six (DSAR-6). The Formidable class multi-role stealth frigates are the latest platforms to enter into service with the RSN, and are multi-mission derivatives of the French Navy’s La Fayette class frigate. 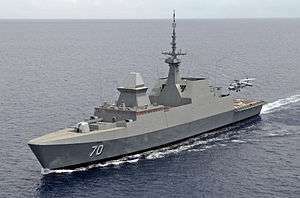 The frigates are key information nodes and fighting units, and are “by far the most advanced surface combatants in Southeast Asia". The frigates will be equipped with Sikorsky S-70B naval helicopters, an international derivative of the Sikorsky SH-60B Seahawk. MINDEF signed a contract with Sikorsky Aircraft Corporation in January 2005 to acquire six of these helicopters, which will be organic to the frigates. These naval helicopters are equipped with anti-surface and anti-submarine combat systems, extending the ship’s own surveillance and over-the-horizon targeting and anti-submarine warfare capabilities. The naval helicopters will be raised as a squadron in the Republic of Singapore Air Force and piloted by air force pilots, but the system operators will be from the RSN. Two more S-70B helicopters were ordered in February 2013. The frigates have a special surface-to-air missile conﬁguration, combining the Thales Herakles radar with the Sylver A50 launcher and a mix of MBDA Aster 15 and 30 missiles. The lead ship of the class, RSS Formidable was commissioned on 5 May 2007, marking the 40th year of the RSN. The six frigates form the 185 Squadron of the RSN. In 1983, the RSN ordered six Victory class corvettes from Friedrich Lürssen Werft of Germany. The first corvette was built in Germany while the remaining five were built locally by ST Marine. The corvettes were also the first class of ships in the RSN to have an anti-submarine capability. The corvettes are noted for being the fastest ships in the fleet, and for their tall mast, making them top-heavy compared to ships of similar class. However, this is suitable within the fairly calm Singapore waters. The six corvettes form the 188 Squadron of the RSN. The Fearless class patrol vessels were built locally by ST Marine to replace the older coastal patrol crafts, which were transferred to the Police Coast Guard. The first six vessels of the class are armed for anti-submarine warfare missions, and were placed under the command of the Fleet as 189 Squadron upon commission. In January 2003, RSS Courageous was badly damaged in a collision with a container ship in the Singapore Strait. In January 2005, 189 Squadron was transferred to the then-Coastal Command from the Fleet, and the twelve ships now form the 182/189 Squadron. In May 2016, with the completion of RSS Independence's sea trials, 182 and 189 Squadron were merged to form the new 182 Squadron. 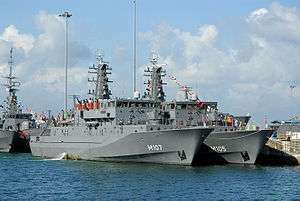 On 30 January 2013, MINDEF awarded ST Engineering a contract for the design and build of eight new vessels to replace the Fearless-class patrol vessels. ST Engineering announced that the group’s marine arm, ST Marine, will build the eight vessels at its Singapore Benoi Yard, with the core combat systems and combat system integration solutions being supplied by the group’s electronics arm, ST Electronics. ST Marine will then carry out the platform system integration as the lead system integrator. The first vessel is expected to be delivered in 2016 and all eight vessels will be fully operational by 2020. The Endurance class amphibious transport docks are the biggest class of ships in the RSN. They were designed and built locally by ST Marine to replace the old County class tank landing ships (LST). Each ship is fitted with a well dock that can accommodate four landing craft and a flight deck that can accommodate two medium lift helicopters. 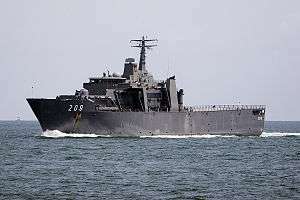 While the RSN describes the Endurance class as LSTs, they lack the beaching capability traditionally associated with LSTs, and their well docks and flight decks qualify the Endurance class more as amphibious transport docks. The ships provide sea transportation for personnel and equipment for SAF's overseas training, as well as a training platform for RSN's midshipmen. RSS Endurance became the first RSN ship to circumnavigate the globe when it participated in the 2000 International Naval Review in New York City. The ships are also actively involved in humanitarian and disaster relief operations, notably in East Timor, the Persian Gulf, the tsunami-hit Indonesian province of Aceh and most recently, disappearance of Indonesia AirAsia Flight 8501. The four ships form the 191 Squadron of the RSN. RSS Persistence (209) in the Singapore Strait. M242 Bushmaster 25 mm automatic cannon stabilised, light armoured (similar to Mk 38 Mod 2) installed before Gulf deployments. The RSN acquired mine countermeasure capabilities as early as 1975, when the USN's USS Thrasher and USS Whippoorwill were reactivated by the RSN's engineers and technicians in California. The Redwing class coastal minesweepers were commissioned as RSS Jupiter and RSS Mercury. 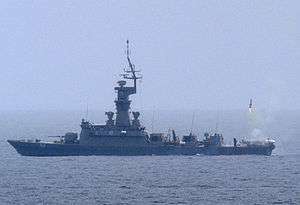 These two ships were eventually replaced by the Bedok class mine countermeasures vessels. The first ship, RSS Bedok, was built by Karlskronavarvet in Sweden based on the Landsort class design. The remaining three ships were prefabricated in Sweden and transferred to Singapore for final assembly by ST Marine. The ships are constructed of glass reinforced plastic to maintain low magnetic and acoustic signatures, and are fitted with Voith Schneider Propellers, giving it the highest manoeuvrability in the navy. The ships form the 194 Squadron of the RSN. The RSN operates the Protector unmanned surface vehicles. They were deployed together with the Endurance class landing platform dock ships to the North Persian Gulf for peacekeeping operations in 2005, where they performed surveillance and reconnaissance, as well as force protection duties for more than eight hours at a go. The Sea Wolf class missile gunboats were acquired in 1968, based on the TNC 45 design from Fredrich Lürssen Werft. The first two gunboats were constructed in Germany, while the remaining four were constructed locally by ST Marine (then known as Singapore Shipbuilding and Engineering). As new technology became available, these gunboats underwent a number of upgrading programmes in the 1980s and 1990s to increase their strike capability and sophistication. These gunboats became the first missile-armed naval vessels in Southeast Asia when they were upgraded to launch Boeing Harpoon (SSM) surface-to-surface missiles. 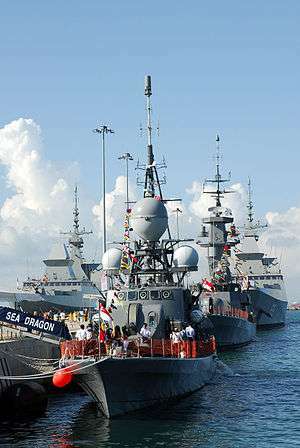 On 13 May 2008, all six gunboats were retired at a sunset decommissioning ceremony held at Changi Naval Base following 33 years of service. Tuas Naval Base (TNB) is the second naval base in the RSN's history. Located at the western tip of Singapore, it occupies 0.28 km² (0.11 mi²) of land. It was officially opened on 2 September 1994 by the second prime minister Goh Chok Tong. For about two decades, Brani Naval Base was the RSN's only base. An expansion of the fleet in the early 1980s meant that more space was needed for the fleet and its shore infrastructure. However, this was not possible as the land around Brani was reserved for use by the port authority to develop container facilities. As a result, Tuas was selected as the site for a second naval base. Better utilisation of space at TNB resulted in two and a half times more berthing space than Brani, even though TNB only has a shoreline of 850 m (0.5 mi). Provision was also made for recreational facilities. Automation was incorporated into the design of TNB to reduce manpower requirements, such as mechanical ramps for the loading and unloading of vehicles and an automatic storage and retrieval system. It also has a floating dock which can lift 600 tonnes and transfer a ship from sea to land to facilitate repairs and maintenance. Currently, the missile corvettes, patrol vessels and mine counter-measures vessels are based at TNB. Changi Naval Base (CNB) is the latest naval facility of the RSN and was built to replace Brani Naval Base. Located on 1.28 km² (0.50 mi²) of reclaimed land at the eastern tip of Singapore, it was officially opened on 21 May 2004 by Goh Chok Tong. Its 6.2 km (3.9 mi) berthing space can accommodate an aircraft carrier and is often used by visiting ships of the USN. Automation was incorporated into the design of CNB to reduce manpower requirements. It has an automated underground ammunition depot that allows ammunition to be loaded onto the ships and an automated warehouse system to store items. The base has a fibre optic broadband network for information management. The base was also designed to be environment-friendly, with small-scale wind turbines powering the lights along the breakwaters at night. Conventional roof construction materials were substituted by thin film solar panels and the solar energy generated lights the base. In addition, seawater is used in the air-conditioning system. Currently, the submarines, frigates and amphibious transport docks are based at CNB. Co-located in CNB is the Changi Naval Training Base, also known as RSS Panglima—named in honour of the first ship of the navy. ↑ Huxley, Tim (2001). Defending the Lion City. Allen & Unwin. ISBN 1-86508-118-3. ↑ "Factsheet – History of the SAF Day Parade". MINDEF. Retrieved 28 May 2011. ↑ "About our history". Retrieved 2 September 2015. ↑ "RSN – About Us – History". MINDEF. Retrieved 26 September 2004. ↑ "RSN – About Us – Organisation". MINDEF. Retrieved 20 April 2007. ↑ "Challenger". Kockums. Retrieved 4 February 2005. ↑ "Submarine Tropicalisation Programme". MINDEF. Retrieved 26 March 2005. ↑ Kaplan, George. "The Republic of Singapore Navy". Navy League of Australia. Retrieved 28 September 2010. ↑ "Republic of Singapore Navy Launches New Submarine Training Centre". mindef.gov.sg. Retrieved 1 May 2016. 1 2 "The RSN Launches Her Fourth Submarine, the RSS Chieftain". Ministry of Defence Singapore. Retrieved 4 December 2011. ↑ "Dr Tony Tan Commissions RSN's Second Submarine". Ministry of Defence Singapore. Retrieved 4 December 2011. ↑ "Kockums receives Singapore order to two submarines". Kockums. Retrieved 19 November 2005. ↑ "Singapore Navy Launches its First Archer-Class Submarine". Singapore Ministry of Defence. Retrieved 16 June 2009. ↑ "RSS Archer submarine now operational, will join 171 Squadron". Straits Times. Retrieved 4 December 2011. ↑ Choong, William (17 June 2009). "New subs not sign of regional arms race". The Straits Times. pp. A21. ↑ Chow, Jermyn (18 June 2009). "Silent Hunter". The Straits Times. pp. B5. ↑ Tamir Eshel (5 December 2013). "Singapore's Type-218SG – Forerunner of a new Submarine Class?". defense-update.com. Retrieved 1 May 2016. ↑ "ST Marine Launches RSN Submarine Support and Rescue Ship". Defenseworld.net. Retrieved 24 June 2009. ↑ "Singapore Hosts Regional Submarine Conference". Singapore Ministry of Defense. Retrieved 24 June 2009. ↑ "Formidable Frigate". DCNS. Archived from the original on 13 May 2007. Retrieved 28 May 2007. ↑ "Stealth ships set for action". Retrieved 18 January 2009. ↑ "Target acquisition – MAST highlights missile-defense concepts". Defence Technology International. Retrieved 12 February 2008. ↑ "Singapore sends planes, ships to help with QZ8501 search effort". CNA. Retrieved 29 December 2014. ↑ "Victory Class Corvettes". Lürssen. ↑ "1988 – RSN's Missile Corvettes". MINDEF. Retrieved 26 September 2004. ↑ "One dead in naval collision". BBC News. 4 January 2003. ↑ "COSCOM Expands" (PDF). Navy News (1). Ministry of Defence (Singapore). 2005. Retrieved 17 March 2005. 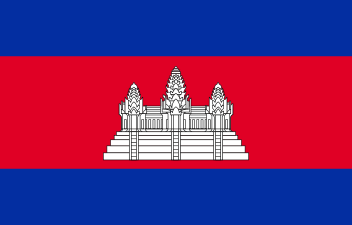 ↑ "LMV Independence joins the RSN family". MINDEF (Singapore). Ministry of Defence (Singapore). Retrieved 27 May 2016. ↑ "MINDEF Signs Contract with ST Engineering for the Construction of Eight New Vessels". 30 January 2013. Retrieved 31 January 2013. 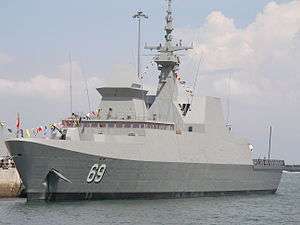 ↑ "ST ENGINEERING WINS NEWBUILD CONTRACT FOR EIGHT NAVAL VESSELS FOR THE REPUBLIC OF SINGAPORE NAVY". 30 January 2013. Retrieved 31 January 2013. ↑ "Characteristics of the Endurance class LST". MINDEF. Retrieved 26 September 2004. ↑ "Speech by Dr Tony Tan Keng Yam, Deputy Prime Minister & Minister for Defence, on the Occasion of the Commissioning Ceremony for the RSN Landing Ship Tank, RSS Endurance & RSS Resolution Held on Saturday, 18 March 2000 at 10:00 AM at Tuas Naval Base". MINDEF. Retrieved 17 October 2006. ↑ "Singapore Navy sends 3 vessels to help in QZ8501 search". Mediacorp News Group. Retrieved 29 December 2014. ↑ "Safe in my wake". MINDEF. Retrieved 26 March 2005. ↑ "The Next Wave". MINDEF. Retrieved 21 April 2007. ↑ "Fast Patrol Boats TNC 45". Lürssen. ↑ "1975 – Missile Gunboats". MINDEF. Retrieved 26 September 2004. 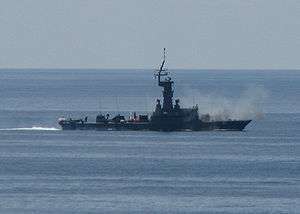 ↑ "Missile Gunboats Retire After 33 Years of Distinguished Service". MINDEF. Retrieved 13 May 2008. ↑ "Tuas Naval Base". MINDEF. Retrieved 7 May 2005. ↑ "Our Bases". Republic of Singapore Navy. Archived from the original on 8 February 2005. Retrieved 4 March 2005. ↑ "DSTA gives Changi Naval Base a 'green' edge". DSTA. Archived from the original on 28 May 2006. Retrieved 7 May 2005. ↑ "1956 – Serving with pride: The RSS Panglima". MINDEF. 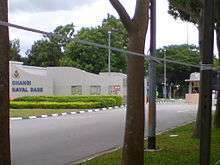 ↑ "2004 – Changi Naval Base". MINDEF.